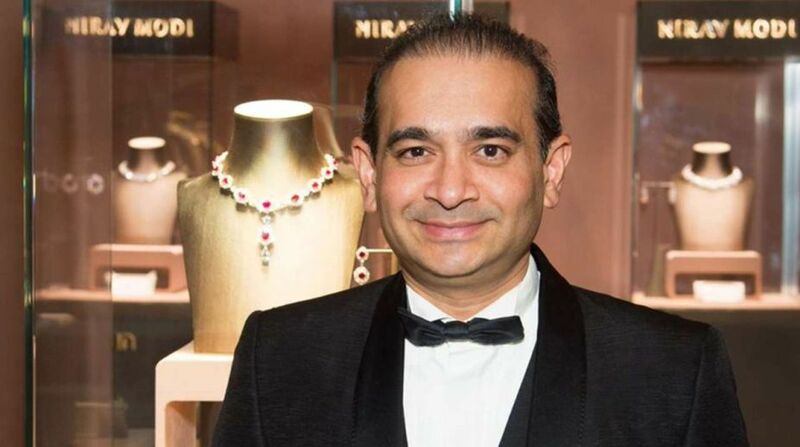 The CBI has approached Interpol seeking issuance of Red Corner Notices against billionaire jeweller Nirav Modi’s brother Nishal, a Belgian citizen, and an executive of his company Subhash Parab, in connection with the over USD 2 billion fraud at state-run Punjab National Bank, sources said. The agency had on Monday sought Red Corner Notices against Nirav Modi and Mehul Choksi in the same case, they said. A Red Corner Notice issued by Interpol urges its member countries to detain or arrest an accused, who is wanted in a country. The CBI has already filed chargesheets before a special CBI court in Mumbai in this case, which is said to be the biggest banking scam in the country, against Modi, Choksi, Nishal and Subhash Parab. The agency had also issued a diffusion notice through Interpol against Modi, Choksi and Nishal on February 15. This notice is a mechanism through which location of an absconder is shared among member countries of the Interpol. In response to the diffusion notice, the United Kingdom has shared “movements” of Modi and other fugitives, sources said while maintaining that his specific location remains unknown. “After getting the diffusion notice issued through the Interpol channel on February 15, 2018, the CBI proactively pursued it with the national central bureaus of individual countries which are likely to have been visited by the accused fugitives for confirmation of their addresses and location,” a senior official said. A National Central Bureau is a designated agency of a country which interacts with Lyon-based international police cooperation agency Interpol. For India, the CBI is the NCB. The official said that details received from the UK have been shared with investigating units and other sister agencies of the CBI. The agency had on Monday said that it does not have confirmation on the whereabouts of Nirav Modi as yet. His wife Ami, a US citizen, brother Nishal a Belgian, and uncle Choksi, Gitanjali group’s promoter, had also fled the country in the first week of January. Nearly two weeks later PNB had approached the CBI with complaint of fraud committed by them. The PNB was allegedly cheated by fraudulently issued of Letters of Undertakings (LoUs) and Foreign Letters of Credit (FLCs). The CBI has charge-sheeted both Nirav Modi and Choksi separately in the scam and has now approached the Interpol for Red Corner Notices to bring back the accused to face trial in cases against them. The CBI, in its charge sheets last month, had alleged that funds to the tune of Rs 6,498.20 crore were siphoned off by Modi using fraudulent LoUs issued from PNB’s Brady House branch in Mumbai. Choksi allegedly swindled Rs 7080.86 crore, making it the country’s biggest banking scam at over Rs 13,000 crore. An additional loan default of over Rs 5,000 crore to Choksi’s companies is also a matter of probe under the CBI. It is alleged that Modi and Choksi through their companies availed credit from overseas branches of Indian banks using guarantees given through fraudulent LoUs and letters of credit which were not repaid bringing the liability on the state-run bank, officials said. An LoU is a guarantee given by an issuing bank to Indian banks having branches abroad to grant short-term credit to the applicant. The instructions for transferring funds were allegedly issued by a bank employee, Gokulnath Shetty, using an international messaging system for banking called SWIFT platform and without making their subsequent entries in the PNB’s internal banking software, thus bypassing scrutiny in the bank, officials said.